Dental issues can often lead to stress further affecting the balance of life. In order to make lifestyle easier, pain-free dental care is recommended. Healing from dental pain is one of the major stress causing factors. But, in the context of dental issues, pain-free treatment is a must. There are many patients who get scared and stressed by mere mention of dental checkup. Since they are familiar with the painful stories of tooth extraction, root canal treatment and related dental care processes. However, it’s time to change the outlook towards dentistry where treatment is absolutely gentle and pain-free. Nevertheless, it is essential to know why dental issues are becoming common at present. Well, people are likely to be seen feeding their teeth with unhealthy stuff. Initially, these eating habits are appetizing, but, when grave symptoms are noticed, many individuals sense this as dental care call. This is where dental care has to be involved without any delay for a better life. In such circumstances, it is ideal to get dental health checked after regular intervals. Currently, people undergo stress even after getting a minor cut on their hand. So, one can imagine what sort of impact a dental pain or issue can cause in their life. Therefore, keeping this basic trauma of patients in mind, modern dentistry has redefined the mechanism of processes used by dentists. In fact, it is undeniably true that this industry has undergone a giant leap. 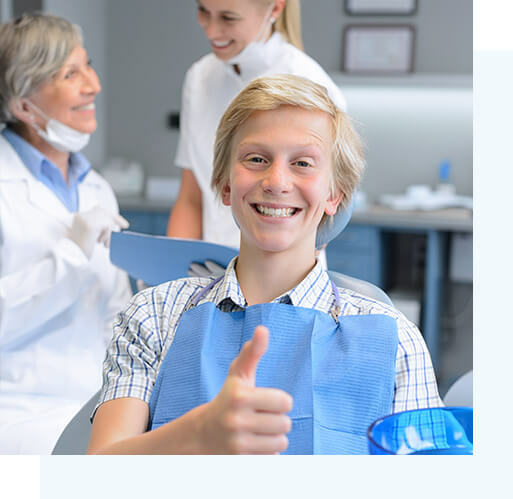 As a result, people can now shed their inhibitions and come forward to get their dental health checked before they turn into a bigger problem. Besides, people complaining about pain or other issues in their mouth cannot be sure about eating anything or everything! They will be conscious about considering the food stuff that can trigger pain in their teeth. They can even be worried about other dental issues. On the contrary, modern dentistry promotes smiling faces and happy teeth with its gentle care! Nowadays, there are many treatments which can be easily offered to the patients letting them stay at ease. A comprehensive checkup enables dentists to prepare the ultimate solution for the patient. Dentists and their entire team altogether believe in restoring calmness in the life of patients by treating their dental dilemma. Dental dilemma is nothing but a situation which can be experienced by individuals finding it tough to choose food items. But, a team of top dentists is currently changing this scenario by offering the sure-shot treatment to the patients. High-end technology and advanced dentistry tools are nowadays making dental treatment pain-free. Varied dental issues, different solutions: A team of dentists is appointed to check the type of issue patient is suffering from and then, the solution is accordingly recommended to him/her. The best part about this treatment is that a person can sit in a relaxed position and wait for the process to end rather than experiencing the pain. These top dentists hold an expertise in gently treating the issues. All they remember is solution and don’t let patients feel traumatized by the process. Facilities to entertain the patient and put him/her at ease: Comforting the patient is the foremost duty of dentists. They believe in using the best techniques of treatment yet considering the ease of the patient. Therefore, modern dental clinics have recreational facilities in their campus. These facilities divert their mind and they don’t feel the pain while dental issues are being treated. Be it a TV, DVD player or soothing music being played in the background, the patient can stay relaxed and wait till the dental treatment gets over. Furthermore, the current dental treatment is being supported by strong measures with definite solution. People don’t have to be worried about their frequent check-up or follow-up because of the advanced dental care. All they need to remember is following the advice given to them after the treatment. If these patients follow the advice of their dentist, they will never have to undergo the dental care session. Dr. Amit Kalra is the founder of dentistforchickens.com.au. He is a qualified dental surgeon who attained his B.D.S degree in 2001 from King George’s Medical & Dental College. We offer a comprehensive dental care services under one roof. The Newcastle Dentist utilizes advanced dental technology to deliver a sure-shot treatment.